When Natrona County School District (NCSD) leaders and teachers created a strategic plan to increase graduation rates, one area that needed attention was boosting student interest in science, technology, engineering and math (STEM) fields. A collaboration between NCSD leaders and University of Wyoming instructors is focused on achieving that goal. In its first year, RAMPED (robotics, applied mathematics, physics and engineering design) had 30 teachers -- 18 from NCSD -- participating this summer on the UW campus for a 10-day schedule that included various STEM-related workshops. 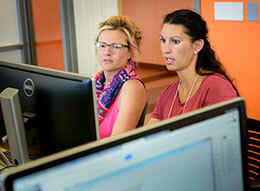 Ten teachers from other Wyoming school districts, and two others from New Hampshire, also participated. RAMPED is planned as a three-year, federally funded Wyoming Department of Education Math and Science Partnership grant program, says Andrea Burrows, UW College of Education secondary education science assistant professor. NCSD leaders created “Strategic Plan 2014-2019” that specifically targets implementing academy-based learning that fosters 21st century learning -- real-world applications -- to increase graduation rates from 75 to 85 percent. Dean Morgan Junior High School instructor Joseph Martinez says the program will help increase graduation rates by incorporating 21st century projects, collaborating with other teachers and incorporating STEM programs in all the district’s classrooms. Mark Hileman, from Pathways Innovation Center, says teachers gained an understanding to the rigors of programming small devices such as the arduino and raspberry pi. Even the district’s grade-school students can benefit from this program, says Ruby Perry, a fourth-grade teacher at Fort Caspar Academy.